The plot was masterminded by a Luhansk militant staying in Russia. 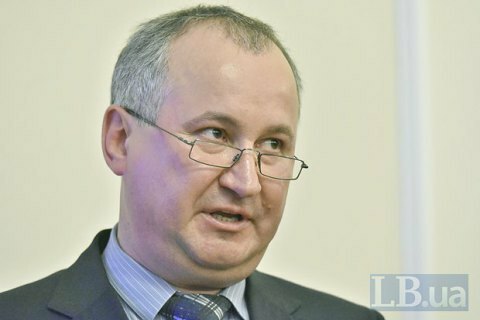 The head of the Security Service of Ukraine (SBU), Vasyl Hrytsak, has said the service has prevented an attempt on the life of a Ukrainian MP in Kyiv. "This morning I briefed the Ukrainian president on the prevention of a high-profile crime in the city pf Kyiv by SBU employees. An attempt on the life of a state official, a Ukrainian MP was uncovered, documented and prevented. According to our information, an operation to physically liquidate the MP was planned, prepared and supervised from the Russian Federation," he said. An improvised explosive device was supposed to be used for the murder. The criminals were considering two options: to plant it under a car or set it off en route. According to investigators, the murder was ordered by a native of Russia who had long lived in Kharkiv Region and later joined the self-proclaimed Luhansk people's republic. He is currently based in Belgorod. The hired killers, who served prison terms in Crimea in the past, were detained. The MP did not give his permission to disclose the name yet. On 16 January, Ukrainian MP Serhiy Pashynskyy said that the Russian Federal Security Service (FSB) was preparing his abduction.